Lil’ woman, big controversy! Twitter fingers were flying when Lil’ Kim posted an April 24 photo collage on Instagram. The “Magic Stick” emcee, 41, looked unrecognizable with her very pale skin, slim nose and long blonde hair. 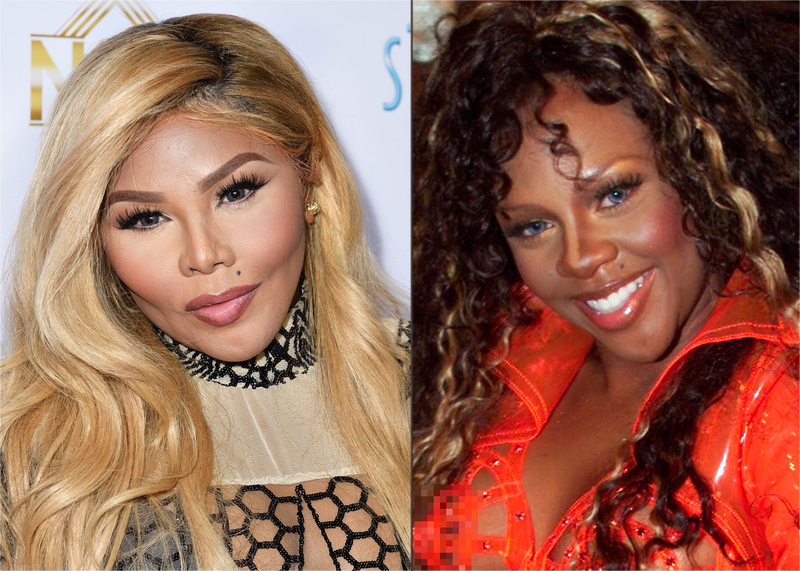 “Dark skinned Lil Kim was perfection… I don’t know who this woman is anymore,” a dismayed fan tweeted. Dr. Jennifer Levine, a board-certified plastic surgeon, can spot the differences too. “It’s clear that there has been some skin bleaching. She&apos;s probably used chemicals, which contain very high doses of acids, on her face, combined with high-acid creams to lighten her skin,” she tells Us Weekly. But while Kim’s new face is undeniable, Levine believes that the Queen Bee is also likely guilty of committing the social-media sin that we’re all guilty of: filtering!